 Are you new to Cancer Support Community Arizona? Click here to register for a Newcomer meeting. REMEMBER, use the drop down menus at the top of the screen to sort by location and type of program you wish to participate in. To register for CanSurround, Click the Registration Update link in the right- hand menu. The links to the right of the screen help keep your account information up to date. "Registration Update": This is simmilar to your Information Profile,, but includes more details on your diagnosis and demographics. This information is held in our secure server and helps us to better understand those we serve and identify areas of growth. This also forwards you on to the CanSurround Registration. "Family Information":This allows you to register multiple family members for an event smoothly! Once you add a family member, the system will remember them and allow you to register for group events as a family. "Donate Online": Directs you to our donation portal. Programs are always 100% free to those affected by Cancer. If you or someone you know would like to donate, Cancer Support Community Arizona is a 501(c)(3) Tax Exempt Organization. "Communication Preferences": If you would prefer we do not send you emails or calls, please specify here. "Invoice History": As some of our fundraising events have paid admission, this area allows you to review your payments. "Log Out": This logs you out of "My Portal"
Please Call us at (602)712-1006 or email us at Info@CSCAZ.org with any questions. We are happy to assist you.